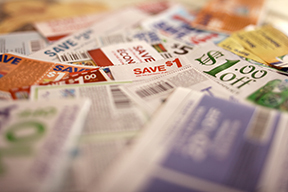 For only pennies per coupon, we’ll handle the processing and payment of all your paper and electronic manufacturer coupons. Scanning data capture and sophisticated systems and controls ensure you get paid properly for all coupons submitted. Two working days…10 working days…20 working days. Maximum convenience and flexibility as you select the schedule that works best for you and you may change payment plans at any time. PCRS pays on time, every time. You receive full face value and manufacturer handling allowance for all coupons submitted. PCRS does all the work. So you can ship coupons at least monthly to prevent expired coupon chargebacks. No service charges, chargeback fees or return coupon fees. The extras aren’t extra at PCRS. PCRS provides you with detailed coupon shipment and payment reports to help you track this important segment of your business. Both paper and electronic formats available. Full-time service for your full-time satisfaction. Our experienced and professional staff is here to answer your questions and help resolve issues quickly and efficiently. We’ll help you minimize and recover manufacturer deductions and PCRS is committed to obtaining fair treatment for independent retailers in the payment reconciliation process. We’ll have you enrolled and submitting coupons in no time – contact us today!